Are Loopholes To Blame For This Drunk Driving Crash? The most important thing to know about drunk driving is that it’s a choice. Anyone who drinks alcohol and gets behind the wheel of a vehicle is making a choice to do so, and any drunk driving crash that happens because of that choice is completely the fault of the offender. But what happens if someone has made the decision to drink and drive, they get arrested and subsequently penalized, and they find a way around those penalties due to a loophole? Who is at fault in those cases? One lawsuit filed in Memphis, Tennessee says it’s the fault of the county, in this case Shelby County. The suit was filed by Thaddeus Matthew, a father who lost his son Kenya after he was killed in a drunk driving crash. The crash was caused by Melvin Willies, a convicted repeat drunk driver who was on probation. According to the lawsuit, three months after Matthew’s son was killed a judge issued an order to Willies to install an ignition interlock in his vehicle. When he crashed into and killed Kenya, he did not have an interlock installed. The lawsuit claims that the city and the probation office were required to ensure the interlock was installed and they did not follow through. But according to Country representatives, the probation department and the city can’t require someone to install that interlock, and you have to have a driver’s license to install an interlock anyway. Willies didn’t have a driver’s license at the time because it was suspended, and this obvious loophole in Tennessee DUI law may be why Kenya died. No one knows what the outcome of the lawsuit will be, but this case may prompt local lawmakers to take a good look at the loopholes that may exist in Tennessee DUI laws. Lives are saved whenever a state cracks down and tightens up these laws, and although it’s too late to save Kenya Matthew’s life, it’s not too late to close loopholes and prevent other deaths. Teachers have lives too, and when they pack away their books and lock the classroom door for the day or weekend, they take off their teacher’s hat and resume their every day lives. Just like anyone else, that day to day could include drinking alcohol, and if they make poor choices, drinking and driving. Just like anyone, teachers need to realize that they have accountability when it comes to what they do in their off hours. A drinking and driving conviction can have severe consequences for anyone, but for a teacher, even if he or she wasn’t on the clock when it happened, it can be catastrophic. Case in point? Michael Hargis, a culinary arts instructor for Lebanon High School in Tennessee, was arrested and booked into jail for drinking and driving after he crashed his car. He was charged with both DUI (driving under the influence) and a violation of the implied consent law, and was let free on bail to wait out his day with the judge. That’s a bad situation for anyone, but as a teacher Hargis was required to report to his supervisor at the school that he had been arrested. He did so, and now he’s been suspended from his job without pay too. If he’s convicted he could face up to eleven months in jail, pay up to $1500 in fines, and lose his driver’s license for one year. He’ll also be required to install an ignition interlock in any vehicle he drives. It might be a choice that thousands of people make every day, but drinking and driving isn’t a choice that any teacher should make, ever. As an educator you lead by example, and what kind of example is a teacher setting if he or she makes the decision to drive drunk? Hopefully this teacher has chalked this up to a lesson learned, is thankful that he didn’t kill anyone in the process, and from now he makes a conscious choice to say no to driving after drinking. When you drink alcohol and get behind the wheel of a vehicle, anything can happen. Crashing and injuring or killing someone isn’t just a possibility, it’s very likely when you’re drinking and driving. Although most people think it can never happen to them, it can and will happen even closer to home than you think. Case in point? 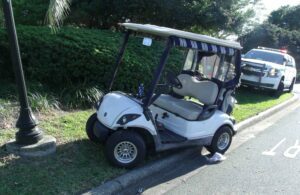 A woman in Tennessee was arrested for vehicular assault, implied consent, and driving under the influence (DUI) charges after she was involved in a golf cart crash. She told police she was driving the golf cart to get food, and she had a friend beside her and her husband and another male passenger standing on the rear of the car holding onto the roof. She made a turn too quickly and her husband and the other male passenger were thrown from the golf cart. When police arrived they found the female driver with blood shot eyes, alcohol on her breath, and several cans of open alcohol in the golf cart. They also found her husband in grave shape, and after he was transported to hospital via helicopter, he died of his head injuries a few days later. 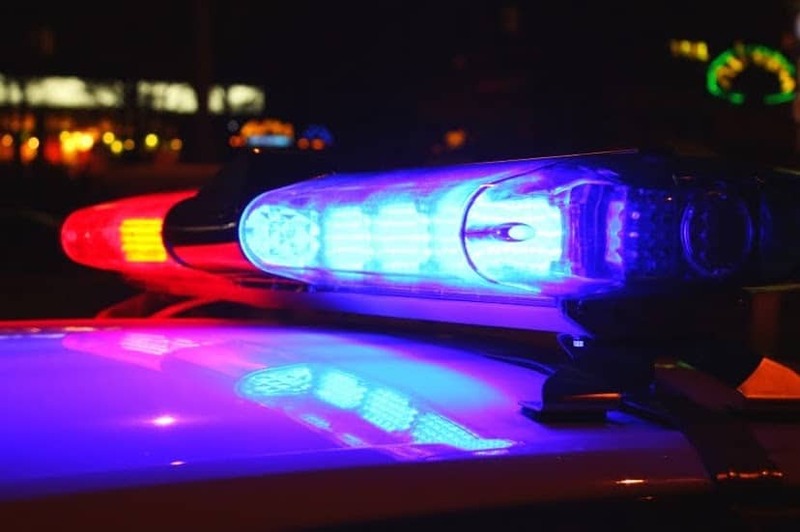 The female driver refused field sobriety tests and would not voluntarily provide a blood sample, so the police obtained a warrant and she was forced to submit a blood draw. Although the driver is from Illinois, she’ll face penalties for drinking and driving according to Tennessee DUI law. Her vehicular assault charge is a Class D felony that requires jail time, even for a first DUI offender. Tennessee is also an ignition interlock state, so when she receives her a driver’s license again, she’ll be required to drive with an ignition interlock. A crash like this is a tragic way to learn a hard lesson: drinking and driving, even on something as innocent as a golf cart, has serious and long term consequences. If you think it can’t happen to you, think again. If at first you don’t succeed, try, try again. This might be the mantra for the Tennessee Department of Transportation after they tried to connect with bar patrons with a Tennessee drunk driving campaign that ended up failing on a spectacular level. The goal to get the public thinking about highway safety using Tennessee driving under the influence (DUI) materials offended people far beyond the borders of the state and, thanks to the wonders of the Internet, received backlash from all around the world. 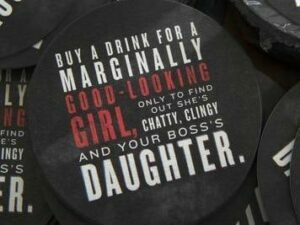 If the goal is to stop drunk driving in Tennessee, going viral with your message is a great way to do that. Unfortunately it wasn’t the type of attention the creators were looking for. Everyone, from England to Canada, criticized the edgy messages, and the end result was an immediate withdrawal of all campaign materials from bars, pubs, and restaurants across the state. But just because they had a huge set back doesn’t mean Tennessee is going to back off on their plan to have an anti-DUI campaign. They’re back at the drawing board and funneling millions of dollars into a contract to stop drunk driving in their state. This time they’ve gone with another company, and both the state and the Tennessee government will be covering the cost. Let’s hope this time they focus on a message that will work to stop drunk drivers, but will avoid offending people on an international level. It couldn’t have been easy to pull the plug on the campaign after the Tennessee Governor’s Highway Safety Office put over $77,000 of federal monies into table tents, posters, and coasters. After one weekend, every single piece of material was pulled from Tennessee establishments. The campaign’s companion website, complete with graffiti characters who engaged in binge drinking and made the decision to not drink and drive, was also taken down. 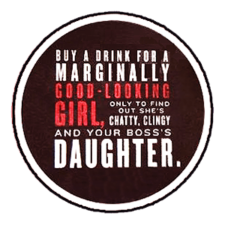 Clearly the campaign intended to reach that demographic of young men who are more likely to drink and drive, and it may have been designed to get the attention of people who would normally ignore standard ad campaigns because they don’t feel drinking and driving statistics or the possibility of crashing applies to them. Even though the campaign has been cancelled, the intent was to stop people from drinking and driving and that’s not a bad thing. 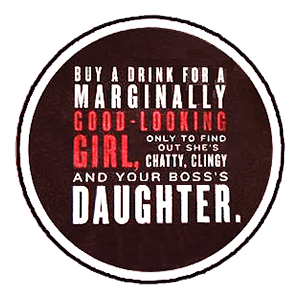 In the long run, maybe the negative attention the campaign received will have a positive effect and make people think twice about drinking and driving. 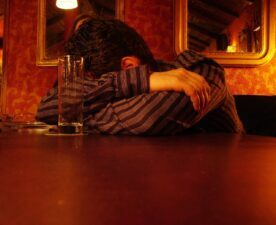 Is It Time To Toughen Up DUI Laws In Tennessee? What could be harder during the holidays, or any other time of the year for that matter, than coping with the loss of your child? Everyday in America, parents are forced to wake up and face the day without their children, all because someone made the choice to drink and drive. For some families, it’s especially hard to deal with the penalties and sentencing for driving under the influence (DUI) offenders who have killed their child in an alcohol-related crash. That’s the situation Connie Wilson of Tennessee has found herself in right now, and she’d like to see improved sentences for DUI offenders who have killed someone due to drunk driving. Wilson lost her son Mark in 2007 to a drunk driving crash. He was only 19 years old at the time, and a sober passenger in a vehicle driven by a drunk driver. When the car he was in hit another vehicle, he and the other driver were both killed. The drunk driver who caused the crash entered a guilty plea and was sentenced to time served, and that’s not OK with Wilson or her family. In Tennessee, DUI laws have a classification for Vehicular Homicide, and anyone who kills someone due to driving drunk will be guilty of a Class B felony and lose their license for 3 to 10 years with no ability to gain a restricted license or interlock device. Although the state’s guidelines recommend a jail sentence of 8 to 12 years for a first-time DUI offender who causes a fatal crash, a judge has the discretion to reduce the sentence or give the offender probation. It won’t bring her son back, but Wilson would like to see the law changed. If someone has caused a fatal crash, they should be held accountable with deterrents like long term jail time. It might be a good time to request such a change – Tennessee recently became the 19th state to enact an all-offender interlock law, so lawmakers clearly have their eye on their DUI problem and want to work to decrease fatal DUI crashes in the state. Tennessee – home of the Grand Old Opry, Nashville, and greenery as far as the eye can see. But while you’re enjoying the sites and sounds of this beautiful state, make sure you’re not doing so while drinking and driving. In 2013, Tennessee became the 19th state to enact an all-offender ignition interlock law, and they have harsh penalties for anyone who drives under the influence. A first driving under the influence (DUI) offense in Tennessee is costly. 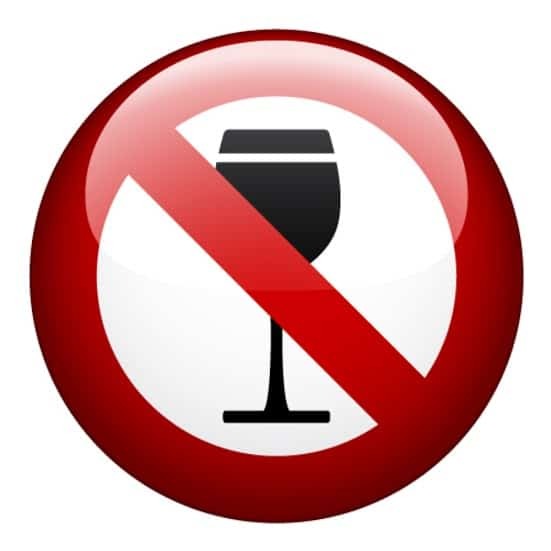 For offenders with a blood alcohol concentration (BAC) of .08 to .20, you’ll receive 48 hours up to 11 months in jail. If you receive a second DUI conviction in Tennessee, the penalties are even more severe. According to Mothers Against Drunk Driving (MADD), Tennessee saw 295 drunk driving fatalities in 2012, and that number was up by 14% from the year before. With the new ignition interlock requirements in 2013, the number of alcohol-related fatalities has dropped to 211. Hopefully they’ll see that number continue to drop as more ignition interlock devices are put into place for all-offenders in Tennessee. and You Haven’t Bought This Yet? An important organization is in trouble. Mothers Against Drunk Driving in Tennessee might lose funding if they don’t sell sixty more license plates by the end of June. The plates cost just $35, of which more than $30 goes right to the organization. But why sixty plates? And why June 30? 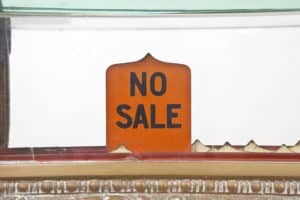 If a minimum number of plates is not sold, the plates will be retired, cutting off an important source of funding for MADD ‘s victim services. At present MADD is 60 plates short of the 500 plates it needs to sell. The funds go to help those who have been affected by alcohol-related traffic crashes. MADD victim services provides emotional support, as well as assistance in court-related matters — an invaluable aid during a stressful and confusing time. Apart from the funding, the plates are also “rolling billboards” publicizing the cause. MADD educates drivers about the dangers of DUI, and works for more effective anti-drunk driving laws. If just one person from each Tennessee county would buy a plate, they’d blow through their goal and MADD’s mission would be safe. If you’re in Tennessee, now would be a great time to switch to a MADD license plate. Even if your plate isn’t up for renewal, you can still arrange to get a plate. Just pop over (in person) to your local County Clerk office.